DJ WAFFLES: Hey Boss! Guess what day it is??? KATIE: ...oh, I don't know. Maybe International Strange Music Day? DJ WAFFLES: How did you KNOW??? KATIE: Just a wild guess. 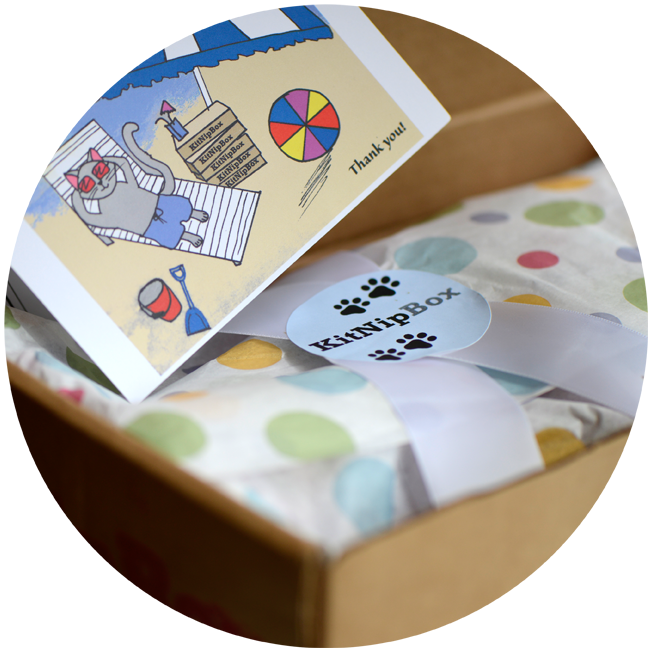 Thank you to our friend, Miss Laura, from SQUEEDUNK CATS. Yesterday while she was sipping on her morning coffee in Jersey City, she snapped a photo of this flyer. 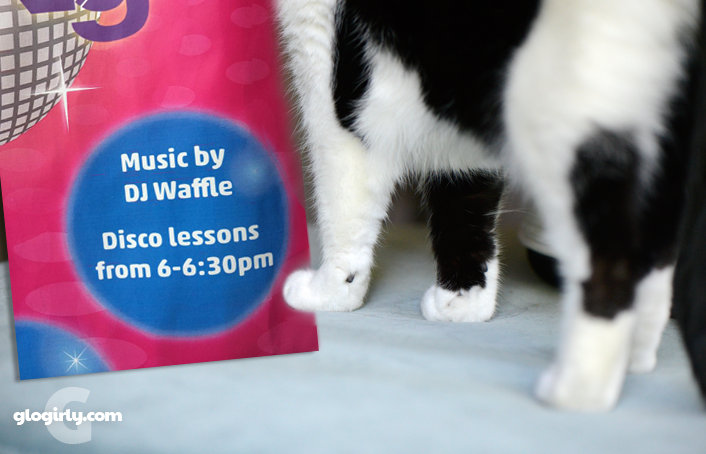 Not real sure which is scarier... DJ Waffles or DJ Waffles spinning for disco lessons. 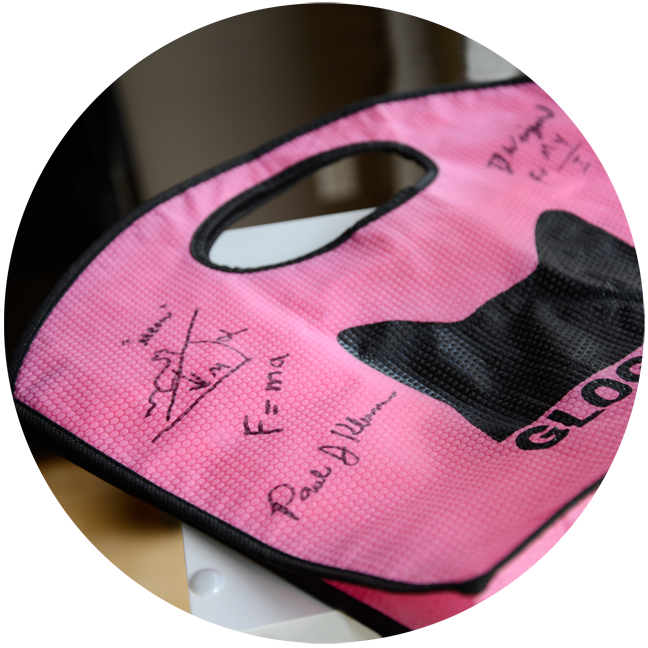 ...was created by Patrick Grant, a New York City musician. The premise is simple: to get people to play and listen to types of music they have never experienced before. The ‘strange’ part can mean either unfamiliar or bizarre. Patrick believes broadening people’s musical spectrums can also change the way we look at other aspects of life – his mantra is ‘listening without prejudice’. This growing movement has concerts, a record label and strong support from summer schools, where it is appreciated as a great way to stimulate young minds. ...not that Waffles' mind needs any additional stimulation. So what music is Waffles listening to? HEY! we did the writing meme! Or rather, MOMMY did. Cant wait for the disco video....! Waffles and disco, look out when the disco ball starts shining MOL! Put on some dance music Waff and lets get our paws moving and grooving. Go Waffles..the ladies are gonna like this..when should I show up for my disco lessons?? Waffles are you creating your own vibe? Is Waffles listening to that 70's "hit"(???) "Disco Duck?" Some kittehs may argue that duck is as yummy as chicken. he he - exactly what is strange music? M has heard a lot of it lately, but then she's from the dark ages. We're country girls...do you spin any country tunes, Waffles? Sign me up for the disco lessons Waffles. DJ Waffles might do a little foot loose too! Waffles, we thought we spotted you in that Fatboy Slim music video with all of the kitties. With that photo, we're sure of it! DJ Waffles and DJCK can spin the tunes for you in a Battle of the DJs. We have all types of music in the condo from folk, blues and country to punk, alternative and classic rock to classical and world music. 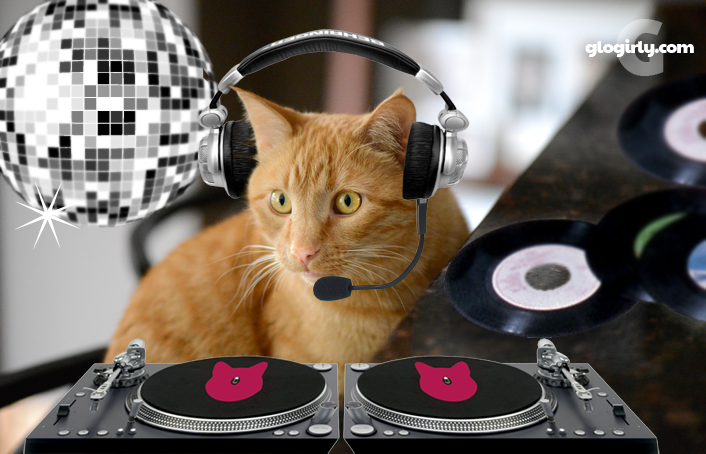 Bet I’m the only Nipclub DJ to ever play Youssou N’Dour. Play that funky music Oranj Cat.